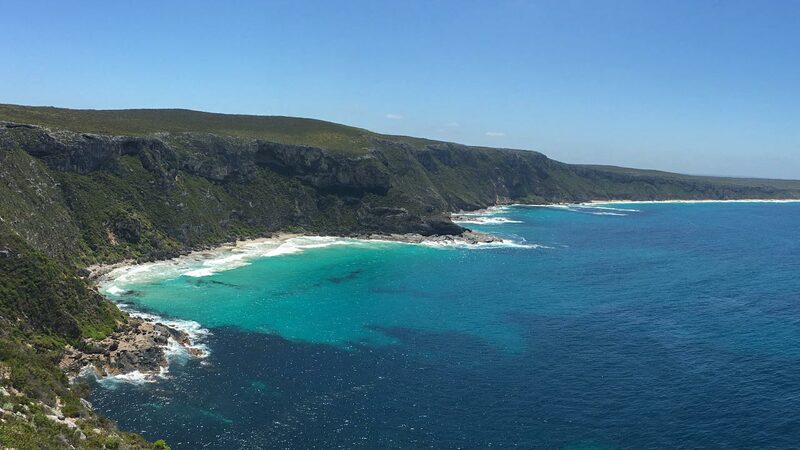 Exploring South America and not going to the Amazon jungle is unheard of. 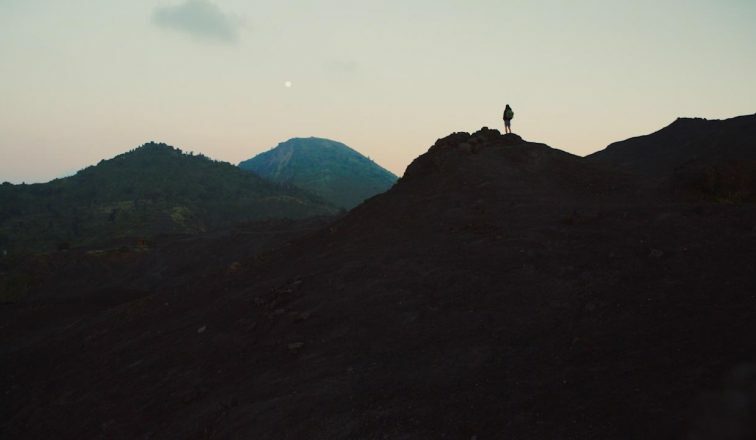 The jungle is home to one of the world’s richest ecosystems in plant and animal biodiversity and every passing hour presents a different kind of experience. With nine countries claiming a piece (more than half is on Brazilian soil), it’s a reminder of the jungle’s astounding scale. All the neighbouring countries have excellent bases that have access to the Amazon. Starting the journey from Ecuador is unique because the water in the lakes is the colour of tea, providing silky reflections of the tranquil scenery. 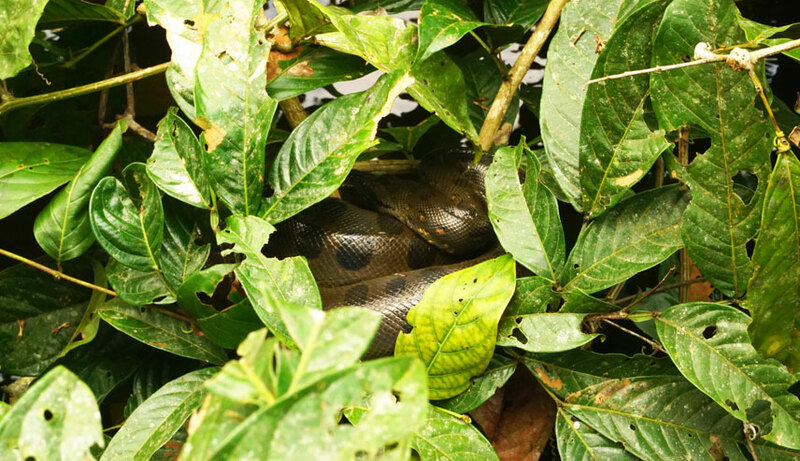 This infamous Anaconda was spotted quietly sleeping on a low branch above the river – must have been resting from a good meal. 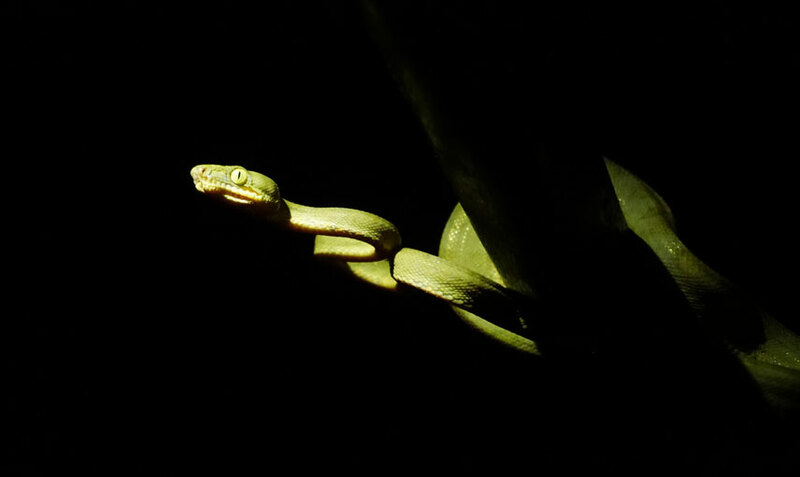 This Boa Constrictor was wrapped around a twig when our guide spotted him in the dark using a flashlight from our moving boat. 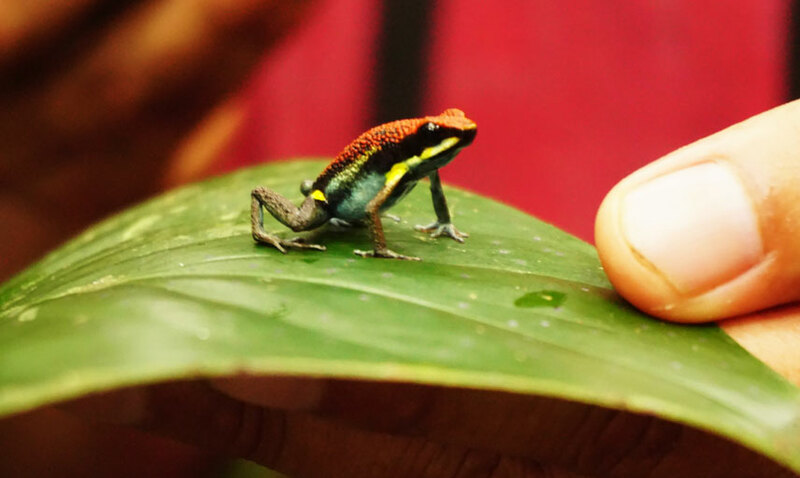 The Ruby Poison Dart Frog is smaller than the size of your thumb but it’s highly poisonous. Coming into contact with the toxic secretion it releases when it feels threatened can kill a human in just a couple of hours! Squirrel Monkeys are one of the most entertaining creatures in the Amazon. They’re small but move incredibly fast as they use their tails as a balancing pole to scale along low tree branches. 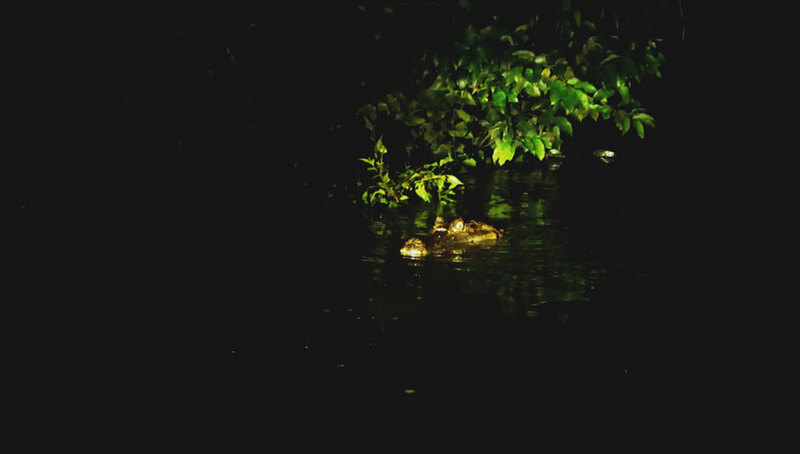 The Caiman, more commonly known as the Alligator, rests during the day and comes out to hunt as the sun goes down. Our guide spotted one floating in the shadows using a flashlight from 40m away. 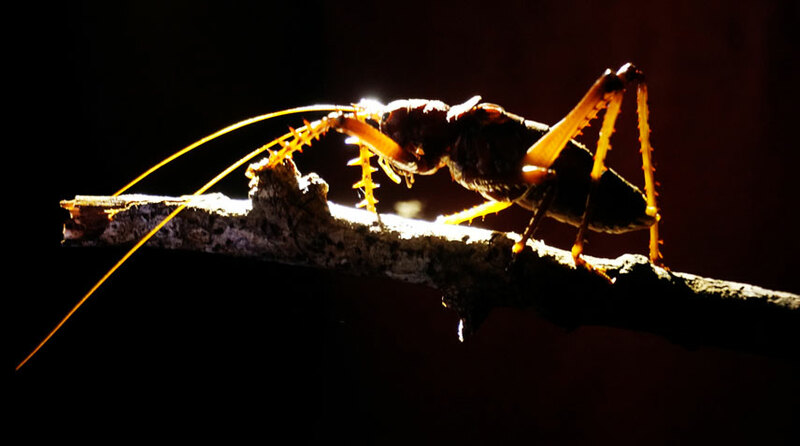 During our night walk in the jungle, we came across an Amazon Lobster in the dark. 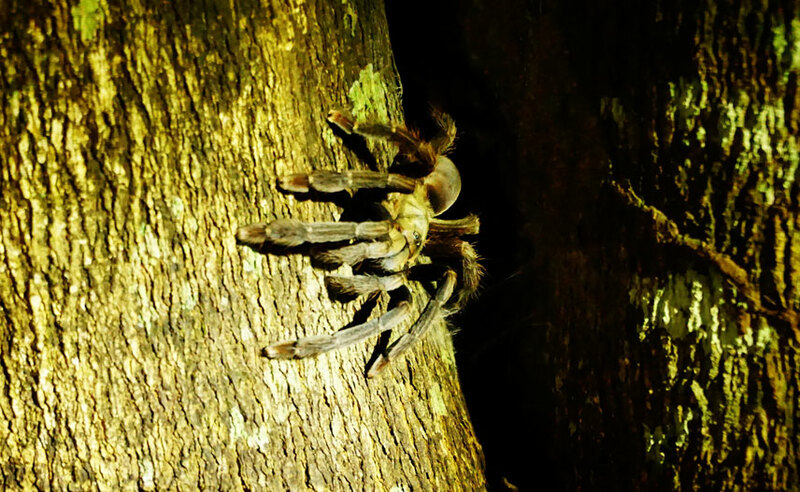 The Amazon jungle is home to plenty of Tarantulas. These hairy arachnids usually live inside a hole in the tree trunk or on the forest floor. Not for those with even a mild case of arachnophobia! 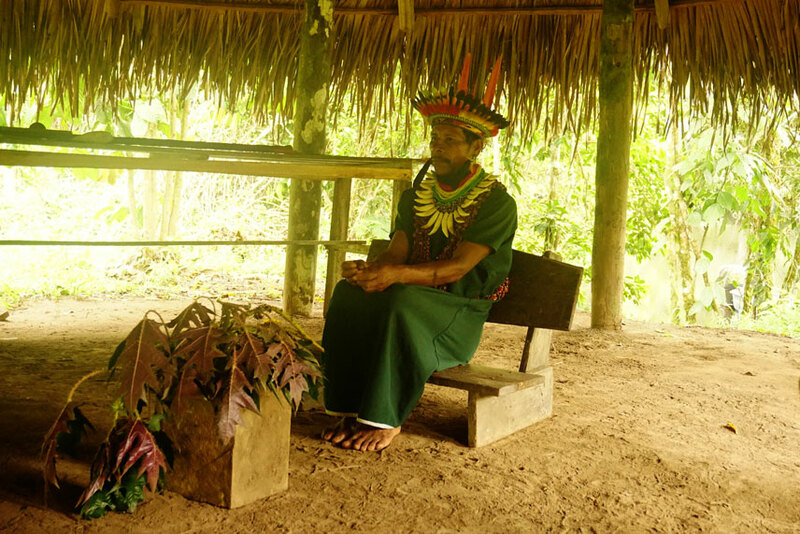 We were lucky enough to visit and interact with a Shaman from the Siona Indian community, an ethnic group that lives along the Cuyabeno River in a village called Puerto Bolivar. We even got to try some ayahuasca, an entheogenic brew that’s used as spiritual medicine in traditional ceremonies. 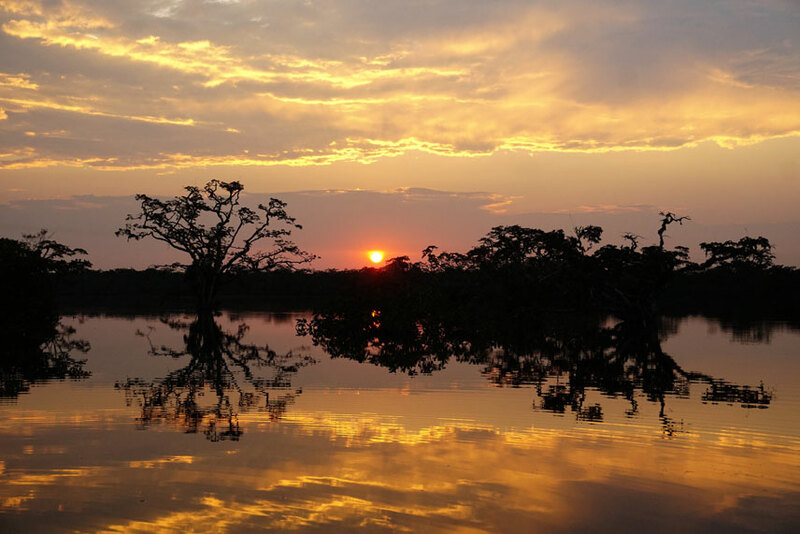 The sunset in the Amazon is breathtaking, especially with the silhouette of the macrolobium trees. These tropical trees are submerged in the water for about 8 months every year. 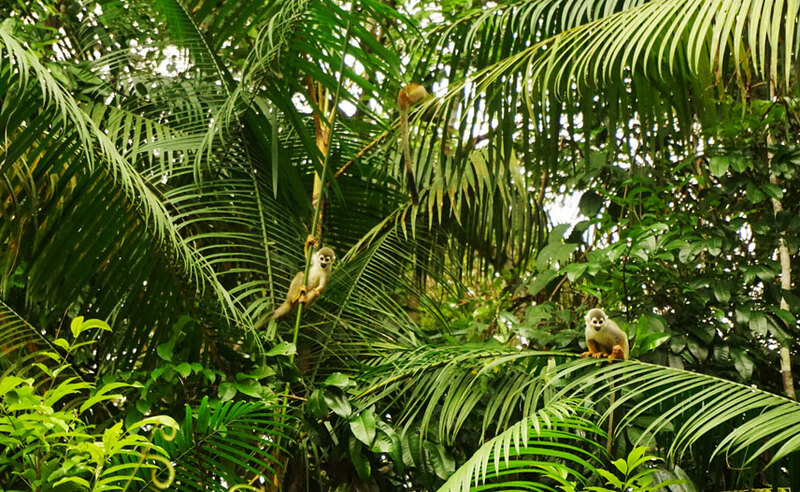 It’s no surprise why the Amazon jungle is a marvel of the world – its unrivalled biodiversity and sheer scale make it a destination that almost feels surreal once you’re there. If you’re planning to visit, going in May to June should strike a comfortable balance between the rainy season and the dry season but it’s also when the water level in the Amazon River peaks. 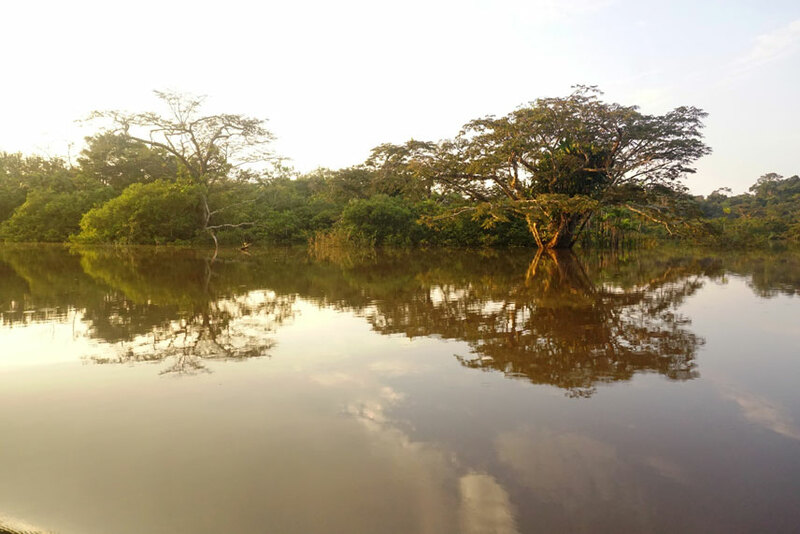 The silver lining is that you can hop in a canoe and let your guide steer as you silently glide through the flooded jungle, an experience you can’t get anywhere else.